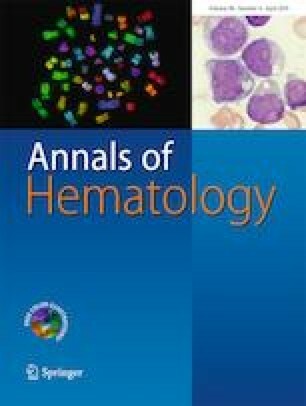 Current prognostication in myelofibrosis (MF) is based on clinicopathological features and mutations in a limited number of driver genes. The impact of other genetic mutations remains unclear. We evaluated for mutations in a myeloid panel of 54 genes using next-generation sequencing. Multivariate Cox regression analysis was used to determine prognostic factors for overall survival (OS) and leukaemia-free survival (LFS), based on mutations of these genes and relevant clinical and haematological features. One hundred and one patients (primary MF, N = 70; secondary MF, N = 31) with a median follow-up of 49 (1–256) months were studied. For the entire cohort, inferior OS was associated with male gender (P = 0.04), age > 65 years (P = 0.04), haemoglobin < 10 g/dL (P = 0.001), CUX1 mutation (P = 0.003) and TP53 mutation (P = 0.049); and inferior LFS was associated with male gender (P = 0.03), haemoglobin < 10 g/dL (P = 0.04) and SRSF2 mutations (P = 0.008). In primary MF, inferior OS was associated with male gender (P = 0.03), haemoglobin < 10 g/dL (P = 0.002), platelet count < 100 × 109/L (P = 0.02), TET2 mutation (P = 0.01) and CUX1 mutation (P = 0.01); and inferior LFS was associated with haemoglobin < 10 g/dL (P = 0.02), platelet count < 100 × 109/L (P = 0.02), TET2 mutations (P = 0.01) and CUX1 mutations (P = 0.04). These results showed that clinical and haematological features and genetic mutations should be considered in MF prognostication. The online version of this article ( https://doi.org/10.1007/s00277-018-3563-7) contains supplementary material, which is available to authorized users. Harinder Gill: treated the patients, analysed the data, wrote and approved the manuscript. Ho-Wan Ip: performed the experiments, wrote and approved the manuscript. Rita Yim: performed the experiments, wrote and approved the manuscript. Wing-Fai Tang: performed the experiments and approved the manuscript. Herbert H. Pang: performed the experiments and approved the manuscript. Paul Lee: performed the experiments and approved the manuscript. Garret M.K. Leung: treated the patients and approved the manuscript. Jamilla Li: treated the patients and approved the manuscript. Karen Tang: treated the patients and approved the manuscript. Jason C.C. So: performed the experiments and approved the manuscript. Rock Y.Y Leung: performed the experiments and approved the manuscript. Jun Li: performed the experiments and approved the manuscript. Gianni Panagioutou: performed the experiments and approved the manuscript. Clarence C.K. Lam: performed histopathological analysis and approved the manuscript. Yok-Lam Kwong: treated the patients, wrote and approved the manuscript. Patients gave informed consent to treatment. This study was approved by the institution review board of the Hong Kong West Cluster and the University of Hong Kong, and was conducted according to the Declaration of Helsinki.